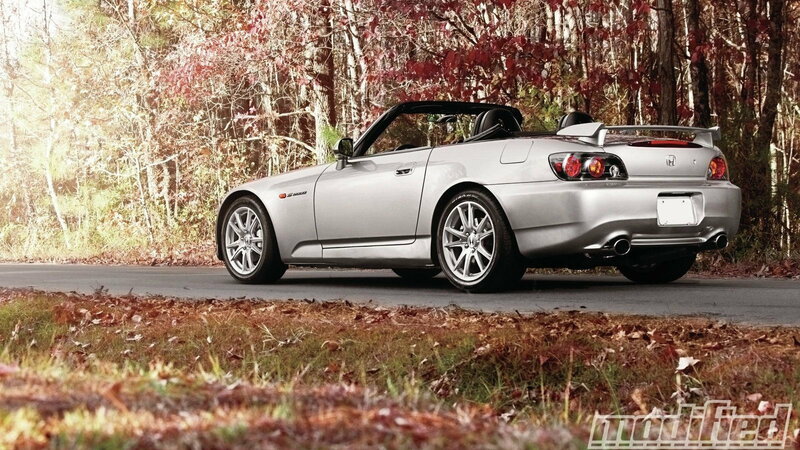 If you found yourself with a Honda S2000 in need of an engine what would you do about it? We thought so. These guys even made a kit for it. Let's get this out of the way up front for the Honda purists, the 2001 S2000 in question was not harmed in the building of this kit. In fact, it was resuscitated—only with the help of a V-8 rather than an inline 4. Even the body and wheels remain factory OEM. Although, they have been updated from the original AP1 to the later and more aggressive AP2 style. Allan Tarrant and Jason Kovach, owners of Import Muscle, the shop that transplanted a 5.7 liter LS1 V-8 out of a 2004 Pontiac GTO in place of the blown-up Honda four, would like you to know that they still love their Hondas; Allan vows that he'll die before he sells his DC2 Integra GS-R.
>>Join the conversation about the S2000GTO right here in S2Ki.com. What was the impetus for the swap? That little voice that's always whispering in our ears: Craiglist. Being shop owners, Allan and Jason used the swap to design their own kit, and offer it to V8-hungry S2000 owners everywhere. Finding a bargain on Craigslist is great, but the purpose of a bargain is defeated if you spend a mint getting it back on the road. No problem Allen says, "In terms of cost, this swap is typically cheaper than going with a turbo, and it offers better reliability. It's also a great alternative to the 2JZ swap, with parts being far cheaper." The rules of economics being what they are, sweat equity takes the place of raw cash on this build, and according to the guys at Import Muscle, the swap requires its fair share of mechanical aptitude: "We try to be as upfront as possible about the fact that there are aspects of this installation that will require someone who is an expert troubleshooter." They report that most parts can be bolted in, with the engine mount plates being the only pieces that require welding. Since it's based on the LS1 they had on hand, their kit is most replete when used with similar engines. "We provide details on the electrical aspects, but since there are many different LSx V8 variations, we've focused our kit on two motors: the LS1 from the '99-'02 F-body and '04 GTO. The kit will physically work with all motors in the LSx family since the blocks are the same, but each variation can provide certain challenges. Use of any other motor will likely require swapping certain accessories." Import Muscle's kit uses precision aluminum adapter plates wherever necessary, and existing GM and Honda parts wherever possible. 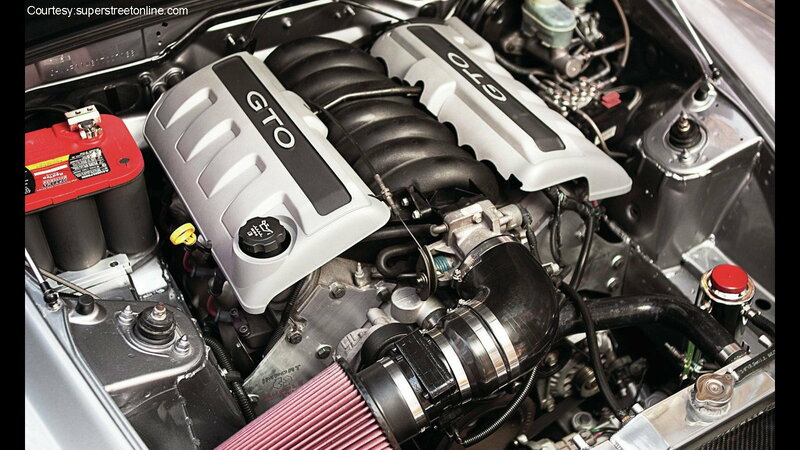 Their Silverstone Silver S2000 utilizes 2002 Camaro exhaust manifolds, A/C compressor, and alternator, and requires a rear-sump oil pan. The rest of the exhaust system was custom fabricated, save for the high-flow MagnaFlow mufflers and cats. 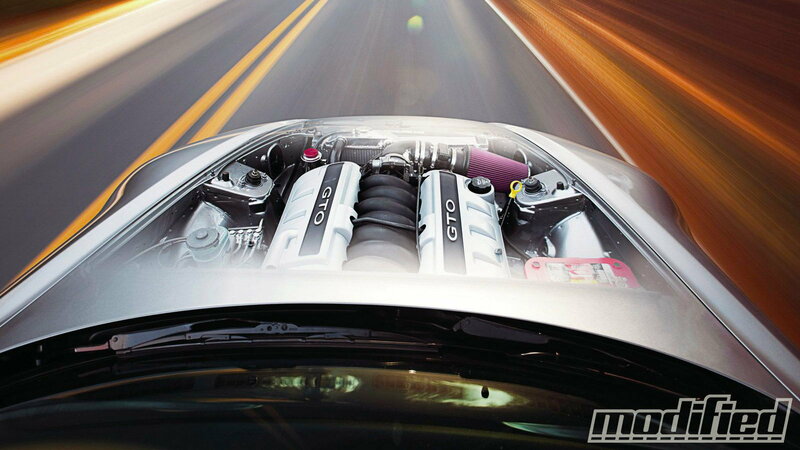 In addition to the LS1, a 2004 GTO also contributed its ECU and T56 transmission. 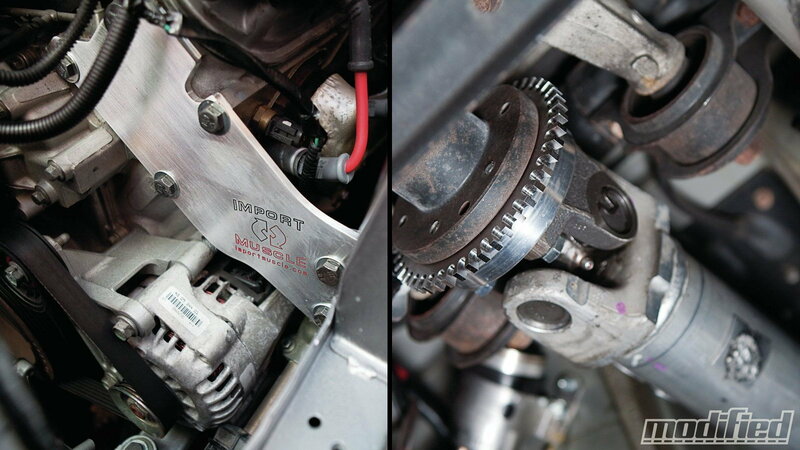 Other changes include Import Muscle's relocated front sway bar brackets and end-links. The interior, however, remains 100% Honda, down to the original HVAC, the only GM touch being a shift knob rescued from the donor GTO. 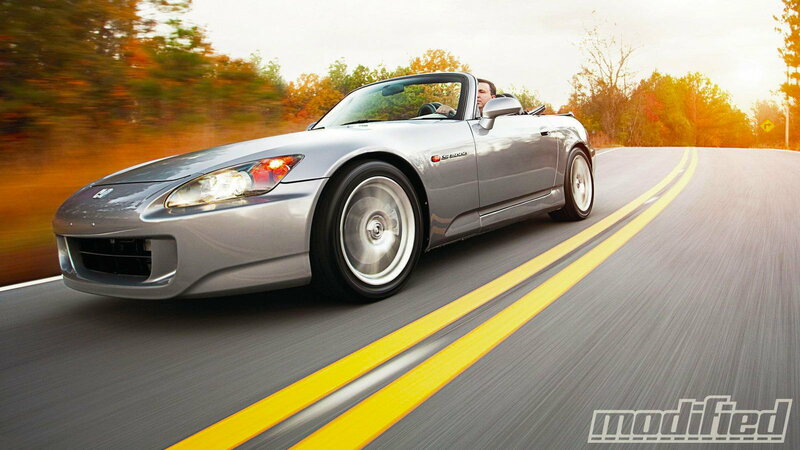 Unlike swapping an inline 6 cylinder, or something even heavier, out for an aluminum LS engine—there's going to be a weight tax imposed on any owner of an S2000 trading their 2.0 liter four for V-8 power. Whether the driveability characteristics of an LS outweigh the fleetness of foot of the original spec Honda mill is an age-old question only a test drive can truly answer. That said, it's about only about a 100-pound difference between the two. Allen—and remember, he's a Honda guy—opines, "The horsepower/torque differences do change the attitude of the car quite a bit. It's still quite controllable and puts the power to the ground very well, but just like any car with tons of torque, you do need to be careful. Overall the car remains extremely well balanced. Anyone who has driven or ridden shotgun in one of these cars is pretty much sold instantly. I certainly don't want to take any credit from an amazing guy like Carroll Shelby, but in the end, it's sort of like his original recipe: small, lightweight car plus V8 power." So if you need something meaty for your engineless S2000, or you are looking for something more original than a 240SX or RX7 to stuff your eager LS into, this is one swap that has "try me" written all over it.